Danger Will Robinson! This full size (over 2m hight!) 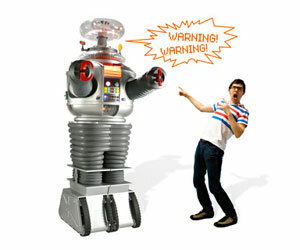 replica of the awesomely camp Lost in Space robot is out to make you wanna buy him. He even has a laser cut steel brain.